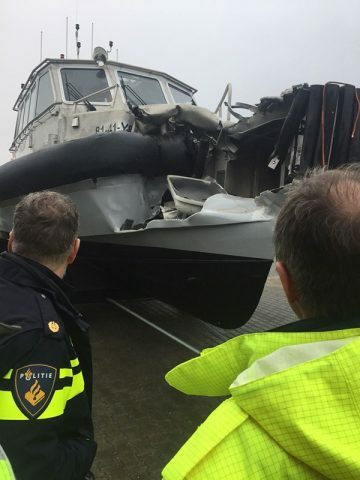 On January 31, the 13 meter long water taxi Vigilant collided with the dredger Nova Venture on the Wadden Sea near Nes, Ameland Island, Netherlands. The Vigilant was proceeding to Ameland from Holwerd with 11 passengers. The two vessels were approaching each other from opposite directions. Just before the two vessels would strike head-on, the master of the Vigilant attempted to veer away. The water taxi’s bow struck hard into the dredger causing severe damage to the hull. 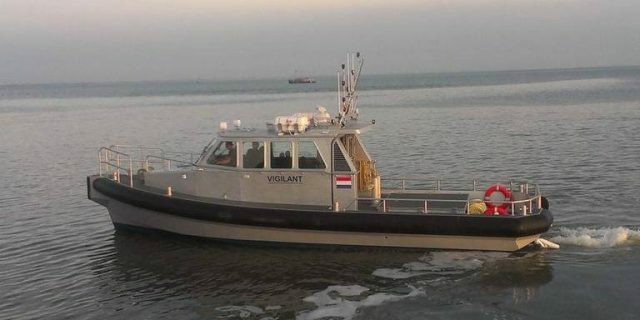 Several passengers on the Vigilant were slightly injured, but two passengers had significant injuries and had to be later taken to hospital in Leeuwarden for treatment. Both passengers recovered and were later released. Authorities have launched an investigation into the incident. No details reported if any injuries or damage to the Nova Venture from the collision.